5:03 p.m., Nov. 20, 2015--University of Delaware Police have arrested a professor in connection with the felony stalking of another UD employee. 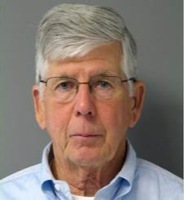 After a two-month investigation, UD Police have charged William Harris, 66, of Churchville, Md., with felony stalking and five counts of misdemeanor criminal mischief. Harris is an associate professor of economics and associate chair for undergraduate studies in the University's Lerner College of Business and Economics. According to UD Police, Harris repeatedly attempted to puncture the tires of the victim’s vehicle while it was in a University parking garage. He and the victim do not work in the same department at the University. Harris was arraigned by videophone at Justice of the Peace Court 7 on Nov. 19 and released after posting $1,000 bail. He is not permitted on campus and is on administrative leave pending the University's review of the case. For members of the UD community who experience sexual assault, intimate partner violence or stalking, the University’s Sexual Offense Support (S.O.S.) program provides crisis support and victim advocacy and is available 24/7 by calling (302) 831-2226 or online at www.udel.edu/sos. Learn more about survivor options and resources at www.udel.edu/sexualmisconduct. Members of the UD community may download a free smartphone app, LiveSafe, that lets users submit tips to police, receive important broadcast notifications and contact the University of Delaware Police Department directly. To learn more, visit this UD Police website. Visit this website to receive a UD Crime Alert email whenever an article about a police investigation is posted on UDaily.